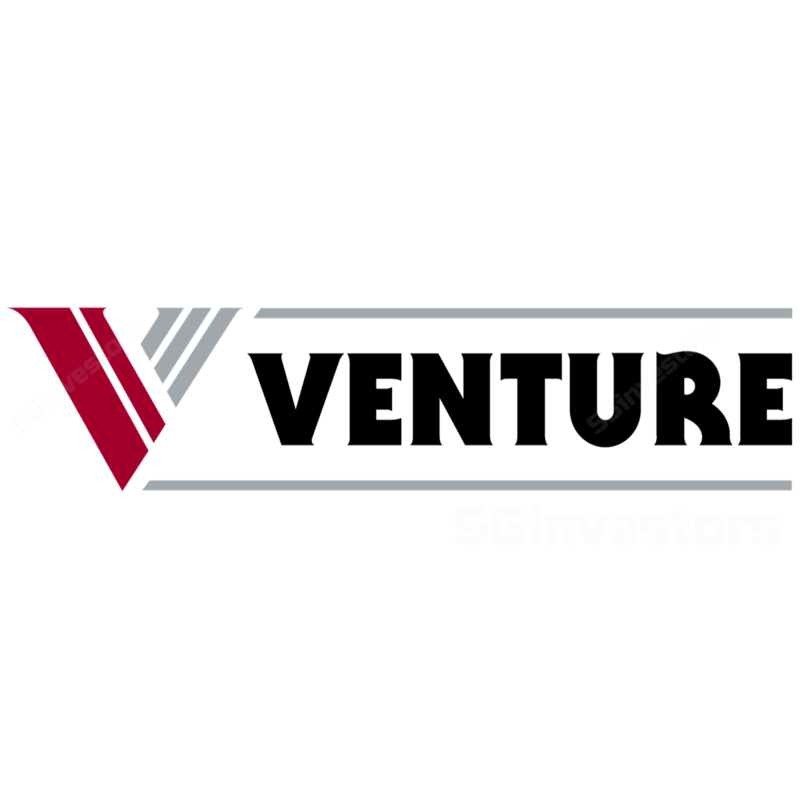 Venture’s CEO making an impactful SGD9.5m purchase of its own shares is a testament of the company’s solid fundamentals and anticipated robust results ahead. Its continued value creation and new major product launches scheduled for 4Q17 lead us to believe that this positive momentum may likely continue through 3Q17 and it may even deliver QoQ earnings growth as well. Hence, we lift our FY17F-18F PATMI by 10%, keep our BUY call and increase our DCF-based to SGD19.70 TP (from SGD14.70, 14% upside), which also implies a 19x 2018F P/E. Margins improvement likely to continue. Venture’s PBT margin in 2Q17 improved to 8.3% (1Q17: 7.6%). Going forward, we believe that its margins may likely continue to improve in the remaining quarters of FY17 – especially in 3Q17, as indicated by 2Q17 numbers. This would be achieved through a shift in the revenue mix to higher-margin projects, as well as continued efforts to upgrade operational efficiencies across the value chain to lower costs. Bigger dividend payout ratio is likely in FY17. Venture has been forking out DPS of SGD0.50 for the past few years despite the recovery in its results. However, with the superb 1H17, we think that the dividends given may likely be increased to reward shareholders, if its stellar performance is maintained. As such, we expect DPS for FY17 to be raised by 20% to SGD0.60, reflecting a 3.5% full-year dividend yield. Medical, life sciences and test & measurement units still the key growth pillars. The high receptive rate of Venture’s customers – which we mentioned in previous reports – was largely due to these segments. Going forward, we remain positive on these divisions and expect this trend to continue for the rest of the year, as the company secures orders from new and existing customers. However, demand growth is likely to be slower due to the higher base effect. Management purchase signals strong buying confidence. Venture’s CEO Mr Wong Ngit Liong has been exercising his employee share option, which was granted to him in Mar-Apr 2017. In addition, he also purchased shares on the open market multiple times – twice in July (worth up to SGD3.4m, before its 2Q17 results announcement, which were exceptional). He purchased another block of shares worth SGD6.1m in September, just before its 3Q17 results are scheduled to be announced in October. We view these transactions as a strong testament of the company’s fundamentals and results ahead. Maintain BUY, with a higher DCF-backed TP of SGD19.70. With the strong insider buying and macro-economic demand continuing, we expect its 3Q17 results to strengthen QoQ. With the continued value creation, coupled with new major product launches ahead in 4Q17, we expect this positive momentum to likely continue into 3Q17. As a result, we lift our FY17F-18F PATMI by 10%. Our higher DCF-based TP of SGD19.70 also implies a FY18F P/E of 19x. Maintain BUY, with a total return upside of 17.5%, inclusive of dividends. A downside risk to our call is an economic slowdown.